KK Balers established in 1982, forms part of the KK Group of companies consisting of KK Water Purification Ltd and KK Machine Hire. All three companies manufacture and sell products to help maintain a greener, safer environment for the future. KK Balers manufactures probably the largest range of waste handling equipment in the UK, to deal with all aspects of recycling. Unlike many companies’ KK manages its own national team of factory trained technicians to deal with installations and on-going service’ and preventative maintenance contracts. As a manufacturer we also have the capability to design and build Bespoke Machines to deal with non standard applications or specialised materials. We have been providing solutions to some of the biggest organisations for over 30 years. Our UK customer base extends to over 5000 with over 1000 balers rented. We co-operate closely with most of the major UK waste companies, which enables us to obtain the best prices for your baled waste. KK will re-brand machinery for companies in the UK and overseas if required, painted to the colour of your choice. KK Water Purification Ltd represents the largest ultra-violet water disinfection company in the world, Trojan Technology. UV disinfection has been the proven non-chemical way for over 60 years, removing water borne pathogens from both industrial and domestic water systems without affecting the taste, colour or smell. KK Machine Hire Ltd is our own lease company formed in 1990 to deal with the ever increasing demand to rent/lease purchase our range of products. 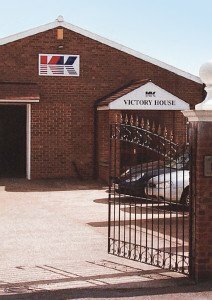 We operate our sales and marketing from our offices in Addlestone, Surrey. Here machines can be viewed and demonstrated. Alternatively we can arrange a site visit to any of our customers situated throughout the UK.